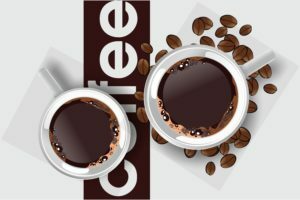 Our position as one of the leading providers of coffee and beverage service in the greater New York area gives our staff an opportunity to interact with a lot of coffee lovers. We get a lot of great questions including, “who are the biggest innovators in the coffee industry today?” We suppose customers ask that question because they are curious about what we may have coming in the future. At any rate, it’s a great question and one with an answer that might surprise you. A fascinating article published by Craft Beverage Jobs in mid-April (2016) gives us a hint about the industry’s biggest innovators by explaining, in detail, what are known as the ‘three waves’ of coffee. Truth be known, the coffee waves we talk about in the industry are just a means for us to express the history of coffee in the marketplace since the 1800s. During the first wave, the biggest innovators were the coffee growers and roasters themselves. 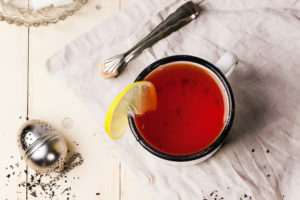 They found new ways to take a product that was produced by individual growers and roasters as an alternative to tea and develop its mass appeal throughout the Americas and parts of Europe. They were so successful that their efforts gave rise to mass producers like Maxwell House Folgers and technologies such as vacuum packing. The second wave was dominated by the coffee shop culture that began on the West Coast in the 1970s. The biggest innovator back then was Starbucks and although the company still exerts quite a bit of influence in their chosen arena, that influence is beginning to fade in light of the current third wave of coffee. The coffee industry of today is all about consumers who want to know how their coffee is grown, how it is sourced, how it relates to environmental protection and fair trade, and so on. We expect the current trends to continue for quite some time. During this third wave, the true innovators are the small businesses who are getting back to the basics of coffee as a premium beverage to be enjoyed for its own sake rather than just drinking any old off-the-shelf coffee to get a caffeine buzz in the morning. Craft Beverage Jobs cites companies like Intelligentsia, Counter Culture Coffee, and Stumptown Coffee Roasters as three examples of third wave innovators. We cannot disagree with that assessment. Each one exemplifies what coffee’s third wave is all about: product quality, direct trade, and sustainability. As we see it, innovation is all about finding new ways to not only give customers what they want but to meet and exceed their expectations every single time. That is what innovators do. Our goal at Galaxie Coffee is to provide the best possible coffee and beverage service we can. We want our customers to enjoy every single cup, every single time. Therefore, we continue to work with our suppliers to bring you the highest quality coffees from around the world.